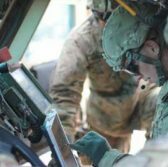 U.S. Army Contracting Command plans to host a two-day event in January to update government agencies and contractors about developments in warfighting technology. The industry day is scheduled to take place from Jan. 16 to 17 at Fort Belvoir in Virginia and will highlight five technological areas under the Digital Soldier initiative, according to a FedBizOpps notice posted Wednesday. Those areas cover augmented reality; automatic target recognition; autonomy for small unmanned aerial systems; global positioning system-denied soldier positioning, navigation and timing; and sensors. Individual company one-on-one sessions will commence after the general program. Registration is open until Dec. 12.